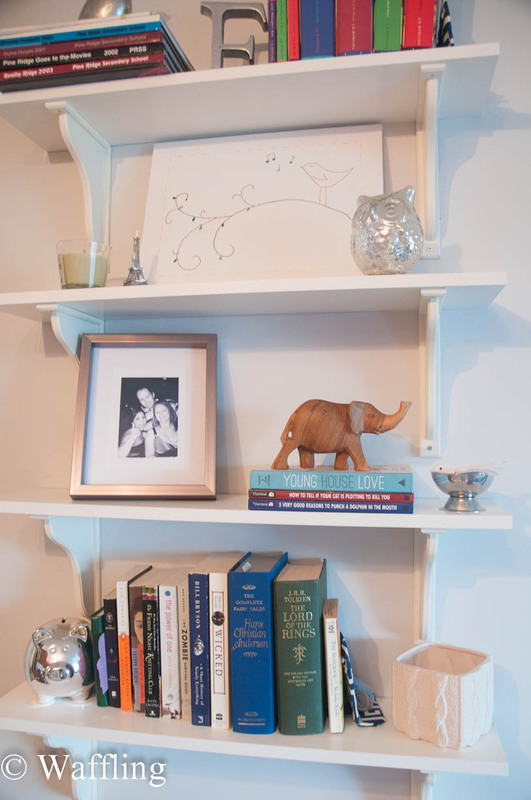 The big project for January was definitely hanging the shelves in my "dining room"! It was tough to drill through the cement walls and I ran into sooo many setbacks that had me cursing my distance from Canadian Tire, but they are still hanging in there and I just love them- even a year later! Also in January I won my trip to Jamaica that I took in the fall!! 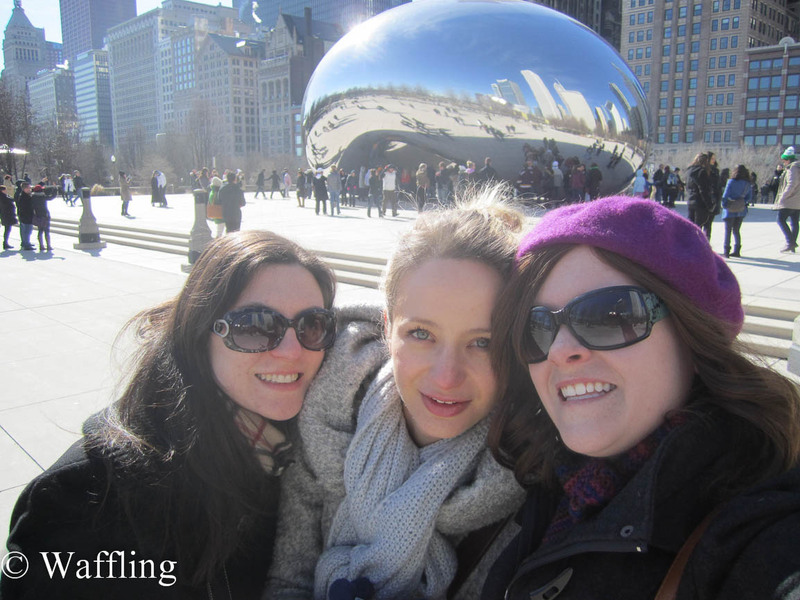 The highlight of February was definitely mine and Veronica's trip to Chicago to visit our friend Olga (who lives in Mexico, but was in the States on business). We had so much fun, despite the cold, and we are already looking at options to try an get together again in 2014! Except maybe this time we will meet in Mexico, where it is a little warmer :). March was a little low on excitement, but I did travel to Quebec one weekend, started my training for a 10K race, did many small projects in the condo and celebrated my one year anniversary of starting this blog! Pretty crazy to compare my stats now and then! In April my dad and I installed the flooring out on the balcony! I am still completely in love with it and I can't believe I didn't do it sooner. I also got some new balcony furniture and I bought a bike! May is my birthday month, so it is obviously the best month of the year, but it was exciting for quite a few other reasons too! To start off the month, my friend Lisa helped me give this blog a makeover. Then I ran my first 10K ON my birthday and I did it within my 1 hour goal! I also bought the bathroom vanity top- kick starting my bathroom renovation plans. I then capped off the month by getting my wisdom teeth removed. June was an exciting month too! 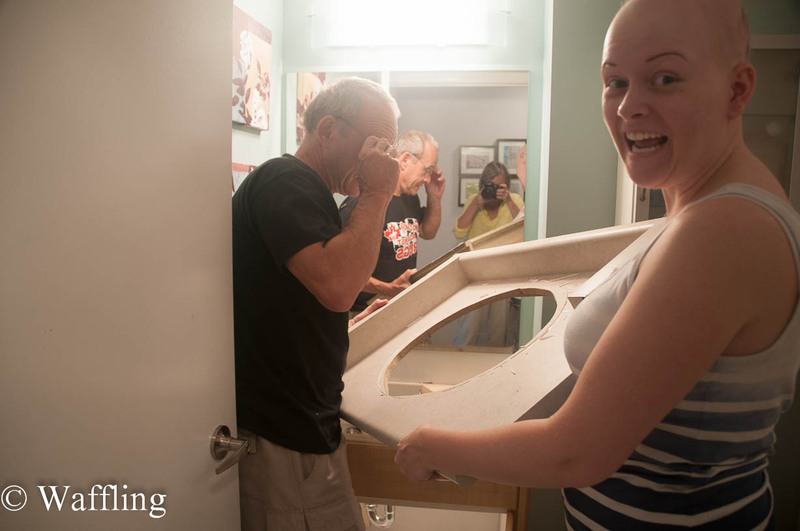 Once my face healed from the wisdom teeth surgery, I got the ball rolling by installing my new bathroom countertop with the help of my mom and stepdad! Later in the month I headed off to Ottawa for a weekend of cottaging with the girls, and then the next weekend I was in Quebec for some bridal showers! I finished off the month by flying to Boston for a bachelorette! It was a crazy month of travel for me! July saw me travelling a lot again- I went to Kanata for the wedding of one of my roommates from University, and a trip back to Quebec for a Stag 'n' Doe! I also found out in July that I am allergic to shrimp. 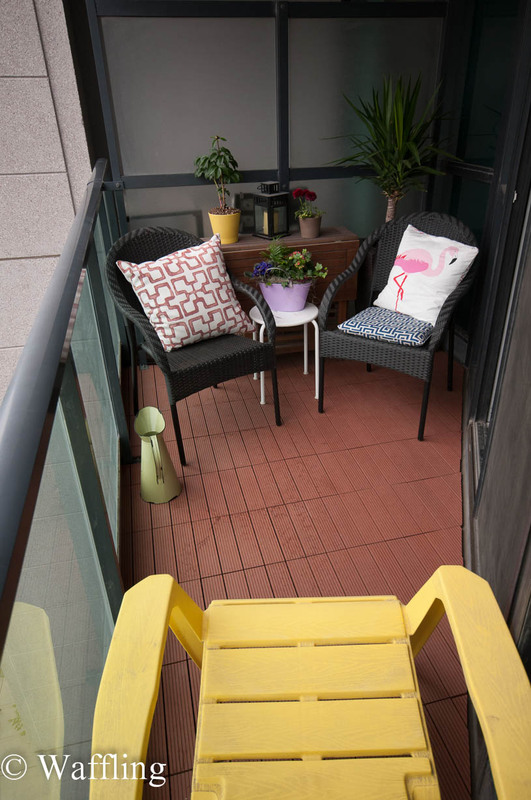 As for the condo, I began picking paint colour for the bathroom and installed trim out on the balcony. In August I was honoured to help my friend down the aisle as her Maid of Honour! Then the next weekend I was off to the country to go camping with my girls, where our car broke down in the rain, leading to quite the adventure to get hom! 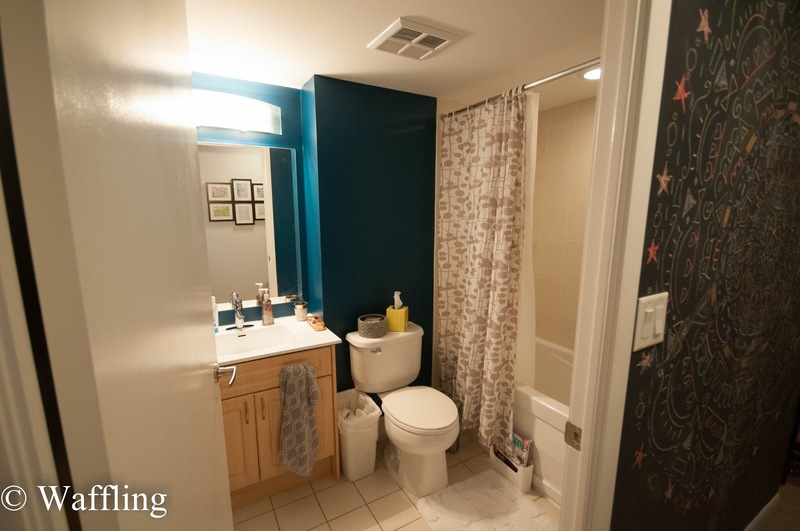 I also got some paint samples up on the wall, picked the winning bathroom colour and I bought a new point and shoot camera just in time for my trip to Jamaica. In the first week of September I was off to Jamaica with my sister in law!! And then my luggage got left behind at the hotel beginning one of the worst shipping/customer service experiences of my life. UGH. 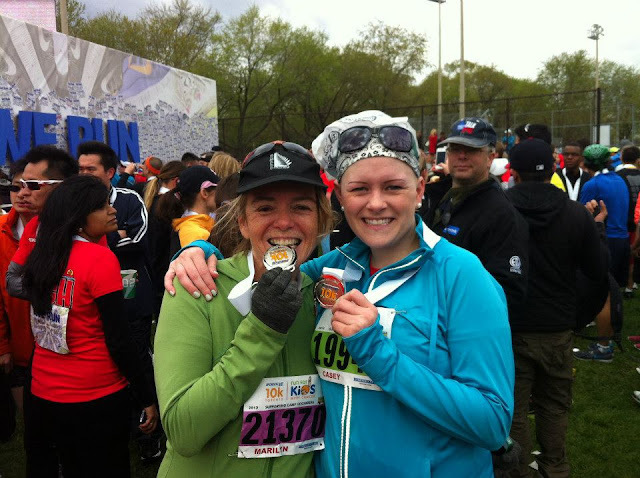 I didn't have much time to dwell on that though (ha), because I had the Terry Fox Run and the BlogPodium that month! BlogPodium was simply amazing and it is tough to say whether Jamaica or BlogPodium was the highlight of the month ;) I also painted the bathroom in September! 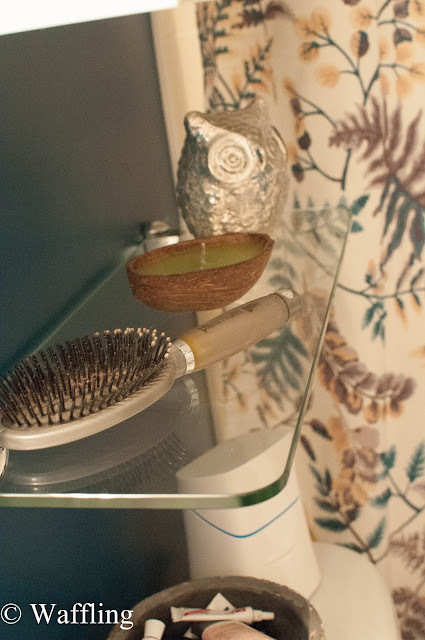 In this month I worked a lot on the bathroom- I installed a new medicine cabinet and a towel bar! 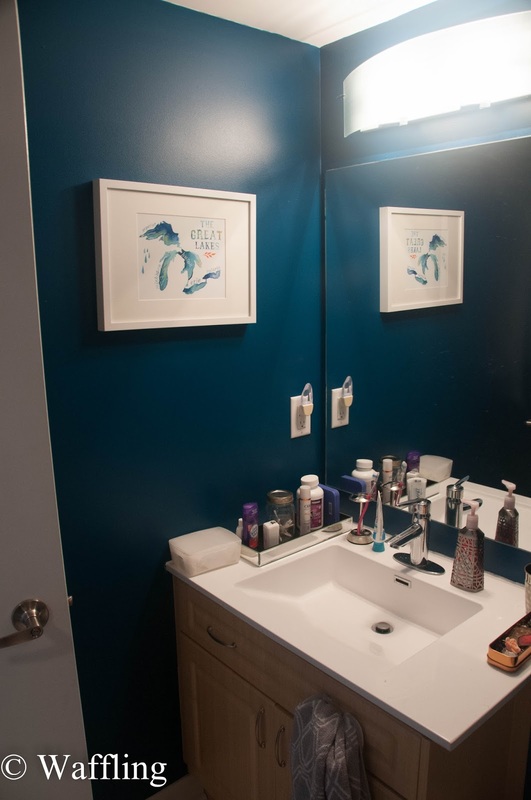 I also ordered some prints for the bathroom and living room which I am still loving. I did more bathroom work in November- including DIYing some art and installing shelves! The shelves were really hard and in looking back on my shelving installation in January it becomes obvious that installing shelves is not my forte. 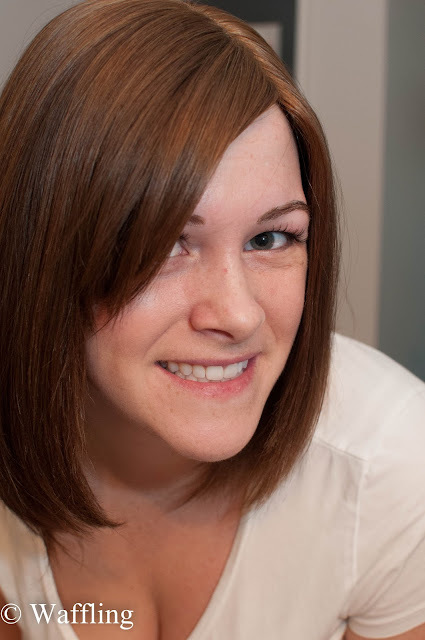 In November I also made the choice to end my Alopecia treatment, which I had been doing for a year straight. December was a quieter month with a lot of family time, but the highlights would definitely be going to the aquarium, getting an Iphone, and getting new eyebrows! Also memorable would have the be the Christmas where my dad lost power for 5 days!! I am really excited to see what 2014 has to bring me! I already know I will be doing a lot of travelling (I currently have trips already booked for Washington DC, Fort Myers, Florida, and Los Cabos, Mexico! ), and I may be selling the condo and buying a new one, which is just CA-RAZY to think about!! Plus there are a few other exciting things that I have up my sleeve that will make an appearance next year! Wishing you all a happy and healthy 2014...I hope this year brings everything you hope for and more! 1. Health- How are you going to improve your body in the upcoming year? 2. 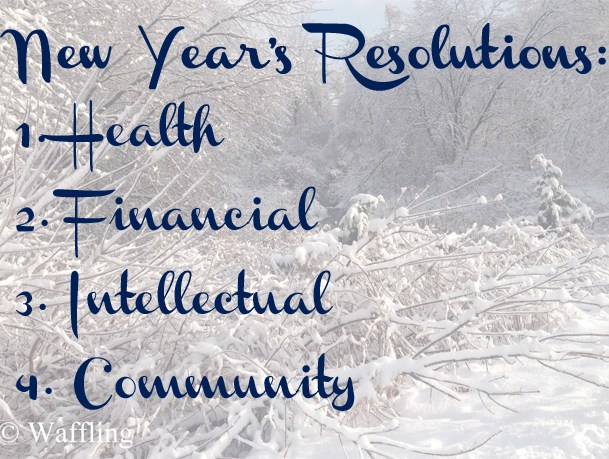 Financial- How are you going to improve your net worth in the upcoming year? 3. Intellectual- How are you going to improve your mind in the upcoming year? 4. Community- How are you going to improve your soul in the upcoming year? Now that our lesson in goal-setting is over, here is what I am hoping to accomplish in the next year! Run 800 km by the end of the year. I want to up my running and work towards and goal of running faster and longer. To achieve this, my goal for 2014 is to run a minimum of 15km per week (three 5 km runs is well within my current skill set, but will still be a challenge!). You can follow my progress on Daily Mile! Eat one vegetable every day. I actually like vegetables and I probably eat them more than most other people, but I will often look back on a day and realize that no veggies have passed my lips that day! Take a course on a subject that interests me. I know, this one is super vague and against the rules, but I haven't decided yet what I would like to take! I think it is important to keep expanding my skills and interests, and right now I am toying with learning guitar, taking a french class, or an art class!! Less Social Media. Part of expanding your mind is learning what is sucking up your time and not doing you any favours. This means I plan to spend one evening a week unplugged from my computer (I am thinking Friday nights or maybe the night I take a course in something) and doing something more productive like meeting with friends, reading, or working on a skill set. Give back in some small way every week. For my "soul goal" I plan to do something selfless at least once a week. This may be volunteering, helping my family and friends out, or even just giving money to charity. Every week I need to do one thing to help those who need it! That branch is thicker than me! Thankfully my dad is a cautious man and the night before he had the foresight to not park under the tree and parked at the neighbours! 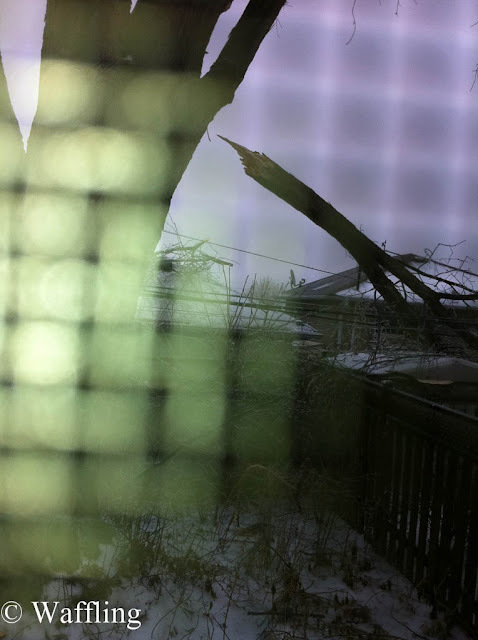 The backyard tree was even worse and the are some GIANT branches down there. 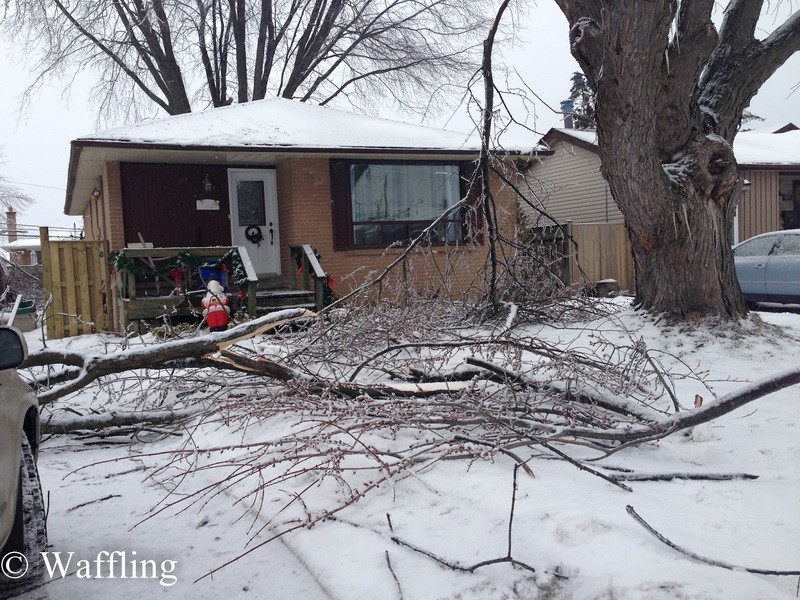 Thankfully no damage to his home, but his power was out until Boxing Day! Anyway, back to my Christmas story. 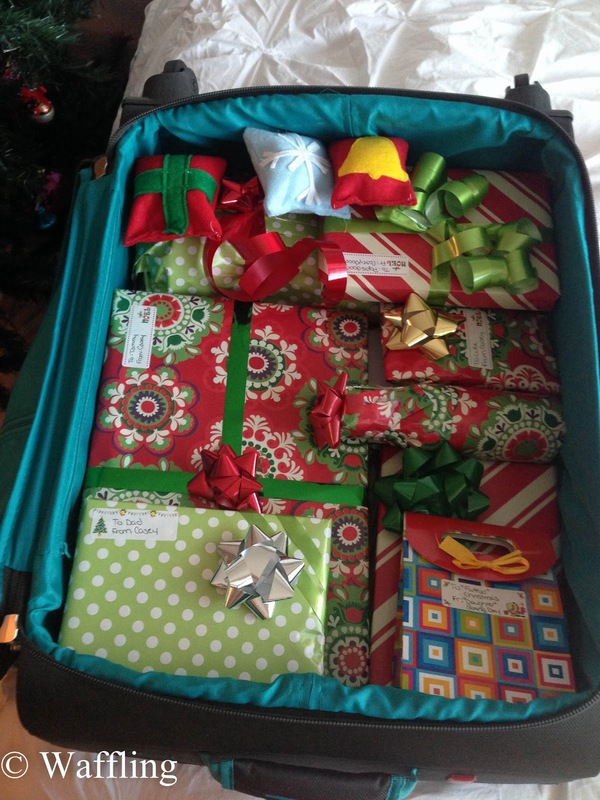 I packed up all my gifts on Monday night and asked my mom if she could come pick me up on Tuesday because I totally overbought :). Then on Christmas Eve I did follow one tradition and made my annual trip to church for the Christmas Eve service. On Christmas Eve my mom and stepdad light a fire and we open gifts, which was nice, but also made me very sad to think of all those cold dark houses in my dad's neighbourhood (FYI- my dad had given up on his cold house and had gone to my brother's and my mom and stepdad had invited a some powerless people over but people seemed to want to stay home!). 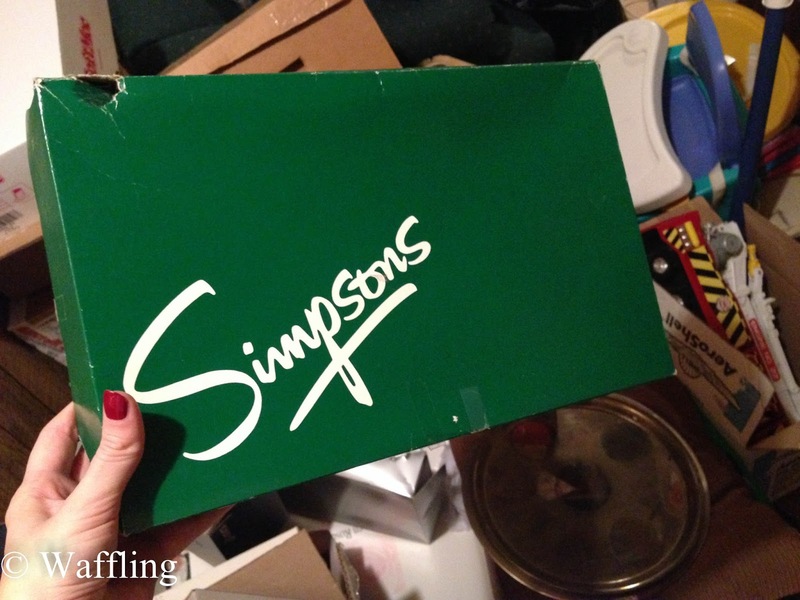 Also a "tradition" is this Simpsons Department Store box, which used to get passed around my entire family each year and the person who got it had to make sure to regift it the next year. According to my internet research, this box must be at least 22 years old! Christmas morning we relaxed with mimosas and french toast, and around 11am my mom dropped me off at my brother's house for Christmas with his family and my dad- sure was weird not to go to my dad's house but we all agreed that a cold, dark house wasn't very fun. It was really cute- my sister in law and I sat upstairs watching Dora with my niece while my brother and dad set out all my dad's and mine gifts. 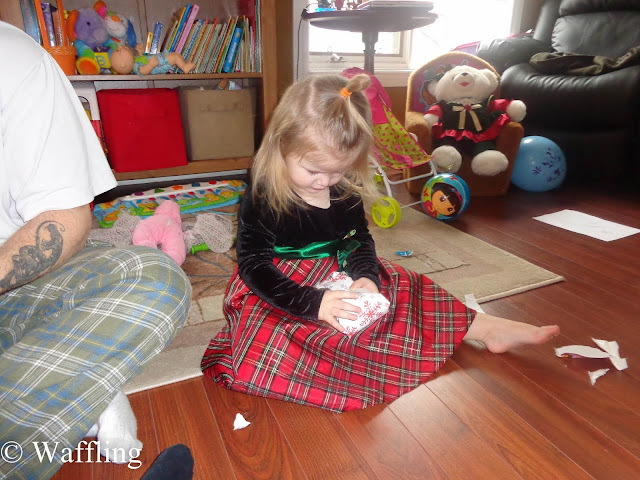 She sure was surprised to come down the stairs and find more gifts!! After gifts we said goodbye to the bro and family (who had other dinner plans) and my dad and I drove up to Barrie to visit my grandma and then join the family for Christmas dinner at my aunt's. I didn't take many photos (too busy eating my turkey! 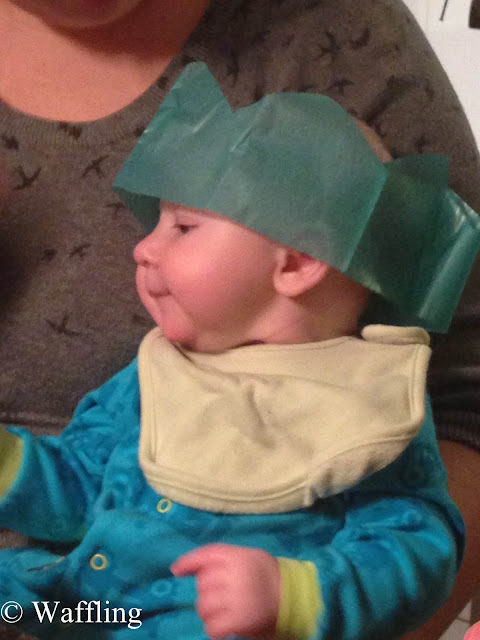 ), but I did get a shot of this little cutie celebrating his first Christmas! After dinner we drove back to Pickering and checked on the house, since the power company didn't list our street on the no-power list (spoiler alert- they lied). We usually do a Christmas lights tour on Christmas night, but obviously our neighbourhood was pretty depressing for that so we drove over to a nearby 'hood where they always go overboard. Even though it was late they still had everything going and it didn't disappoint! My dad dropped me off at my mom's and he went back to my brother's house for the night. Boxing Day I mostly relaxed but my mom and stepdad and I did walk to a pub for lunch. It was SUCH a nice day- so sunny and the world was sparkling. Hard to imagine that this weather can be so destructive, but so beautiful. And in other good news that day- my dad got his power back!!!! 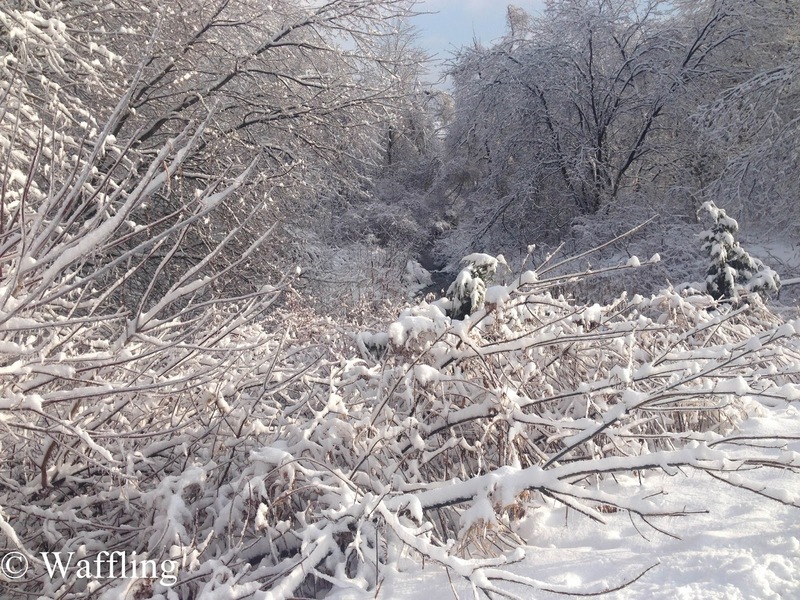 It was sad that it wasn't done in time for Christmas, but we are so grateful for those power crews who worked all through the holidays. Some people still don't have power and my fingers are crossed that they will be back soon too. 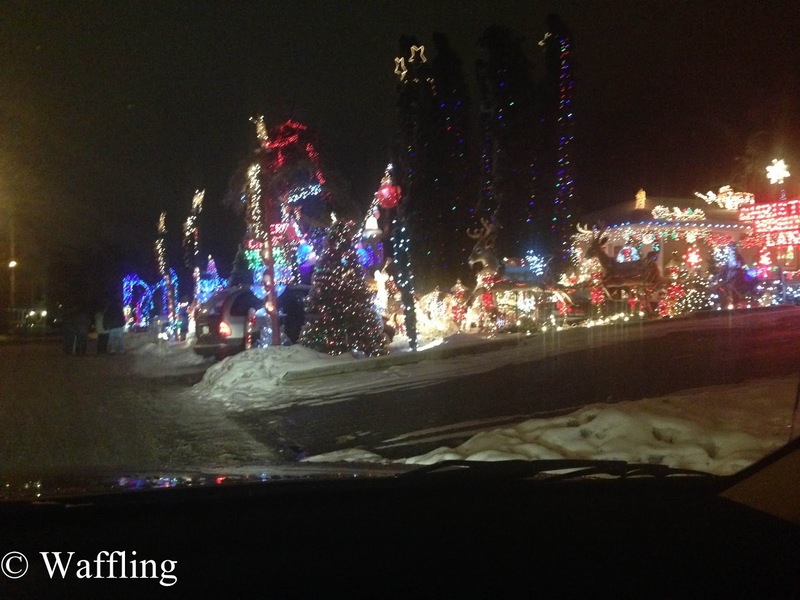 Boxing Day evening was another turkey dinner with my other side of the family! Lots of fun catching up with everyone and eating more turkey :) After dinner my parent's were kind enough to give me a ride home so I am back in the condo now! I lost my eyebrows when I was around 15 and for the next two years I awkwardly drew them on with pencil which never lasted all day and was basically terrible. When I was 17 my mom found these fake eyebrow tattoos (like the kind of tattoos kids put on with water) and my life changed forever. For the first time I felt like my face finally looked more normal and my confidence grew! 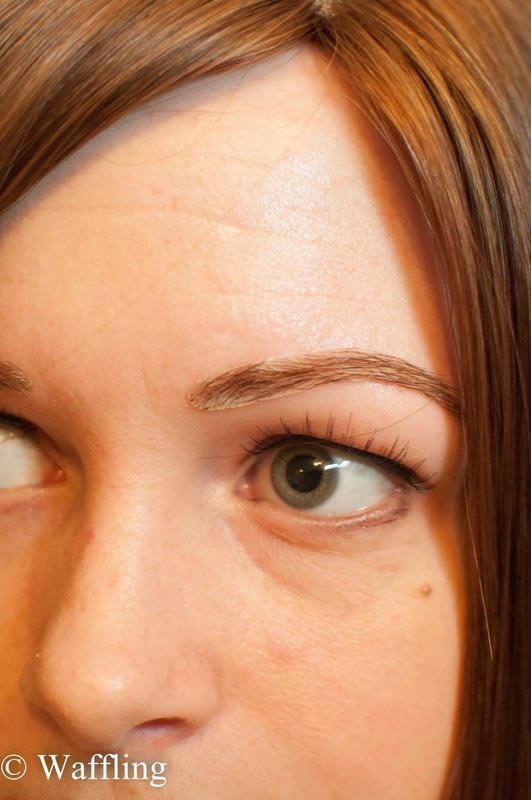 I wore those fake eyebrows for 10 full years, but after my recent failed Alopecia treatment I started looking into getting them permanently tattooed. But in looking for recommendations on the Alopecia support group website, I ended up coming across these fake eyebrows that are made with HAIR- kind of like fake eyelashes, but in eyebrow form. I was intrigued and a few weeks later I bit the bullet and whipped out my credit card to spend $50 on freaking eyebrows from headcovers.com. It took about 2 weeks for them to come and when they got here the glue that I bought to use on them was completely dried up. It was really upset, but the company is sending me another tube so they are good in my books :). 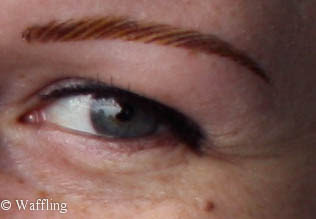 Oh and it looks silly now to be so upset over glue, but this change to new eyebrows really upset me for a couple of days. 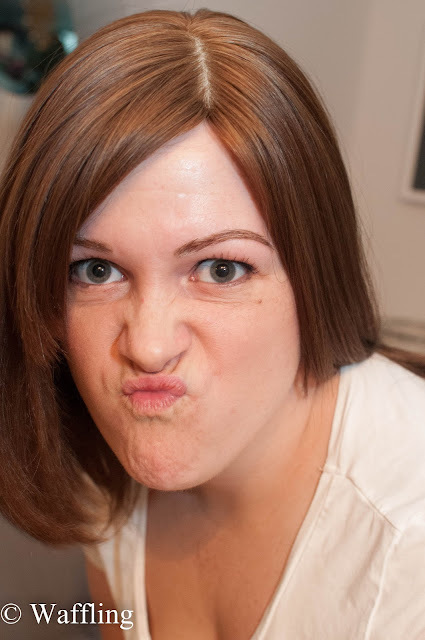 I think I am pretty protective about my alopecia regime and changing my looks was a little shocking to me. I am just using eyelash glue right now. Anywho, I have been wearing them for about a week now and I really like them! 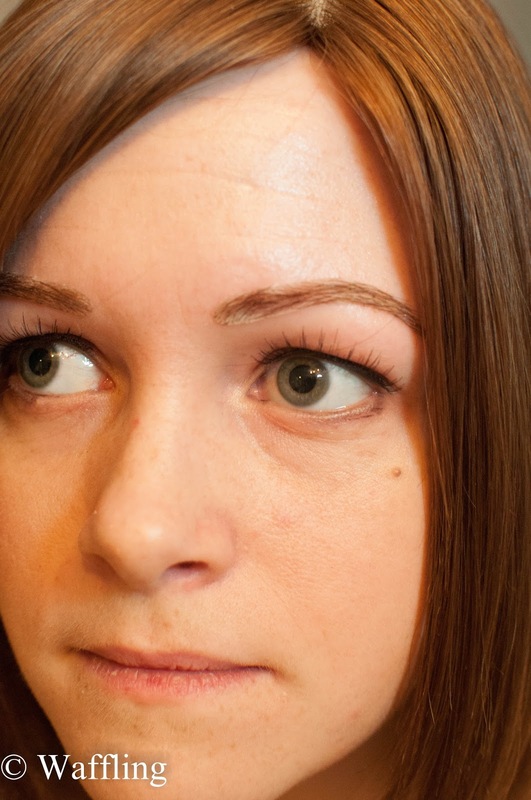 I struggled for a bit with the fact that I could tell they were fake, but then I realized that my old tattoo eyebrows weren't fooling anyone. haha so I got over it fast! A lot of people online said that they wear their eyebrows for a week straight, but I find I need to take them off nightly. They don't stay completely glued down all day (not a big deal, I just patch them with a bit of glue) so by the end of the day they have a bit too much glue so I take them off and clean them. What I am REALLY enjoying is the freedom of touching my forehead again. The tattoo ones rubbed off pretty easily so I was always afraid to scratch my forehead or have anyone touch my face. Now I am much more comfortable since these don't come off that easily!! That is a lot of talking though- let's just get to the befores and afters. 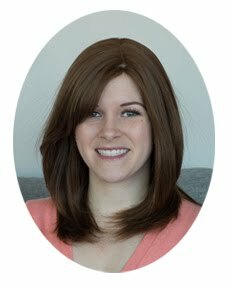 You know what is really weird....this is the same wig. Holy moly has it ever lightened over the past 3 years. I mean, the lighting accounts for a bit of it...but still!!!! 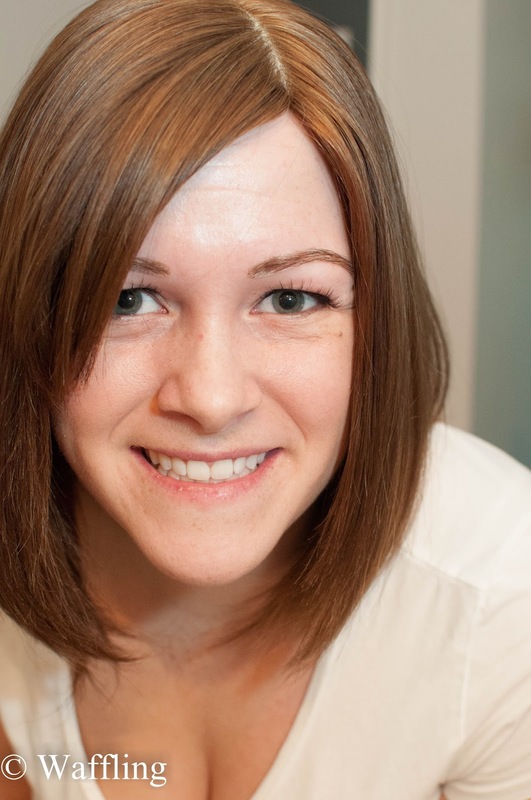 And I have never gotten my bangs to sit as nicely as the stylist first did them. If you are interested in fake eyebrows, I got the Headcovers #15 in dark brown and I am currently using DUO glue in white/clear (available at Shoppers or Sephora). I do find a corner or a mid section will detach if I furrow my brow or sneeze, but actually isn't very noticeable and you can stick it down again with a tiny dab of glue. 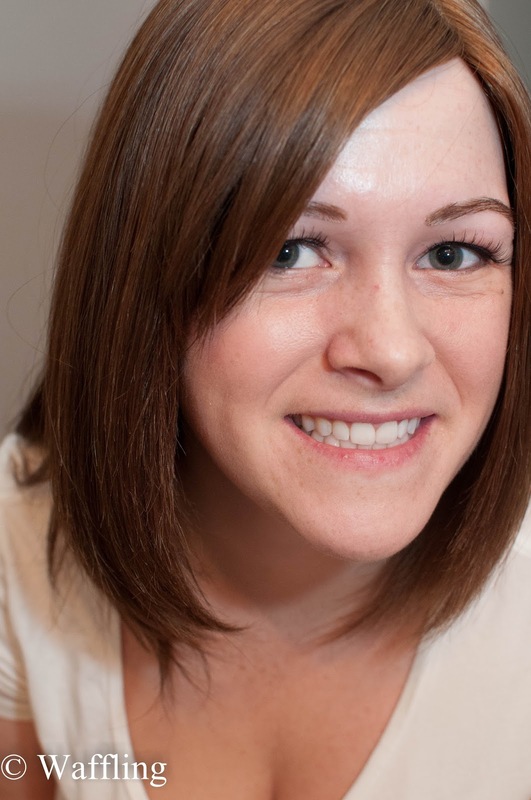 As for my eyelashes, I just wear drug store ones in the "natural" length. 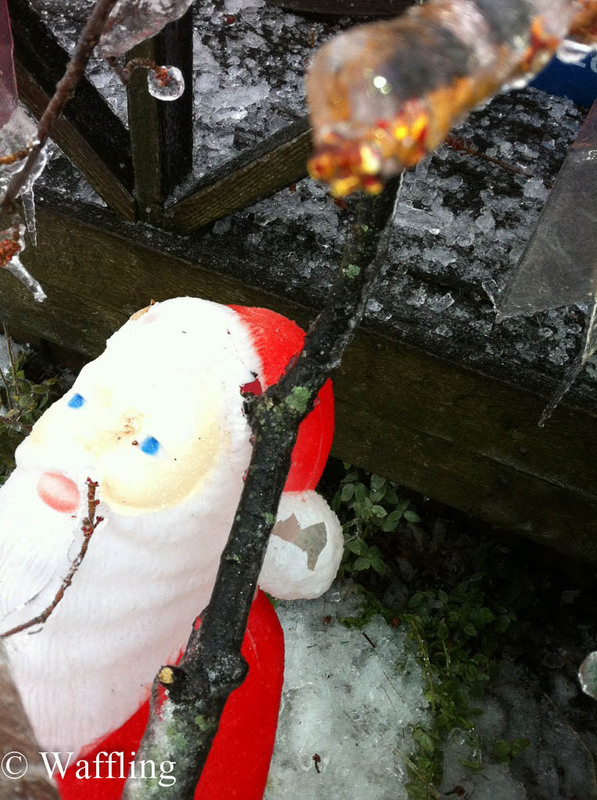 I hope everyone was safe during this weekend's ice storm. My area of Toronto wasn't hit that bad, but a few of my family members have been without power for a long time and are dealing with a pretty big cleanup from fallen branches. Everyone please stay safe!! Anyways, today I am sharing a classic family recipe that I have helped to make since I was a wee little girl. And did I mention that they are NO BAKE? And GLUTEN FREE? And DELICIOUS? 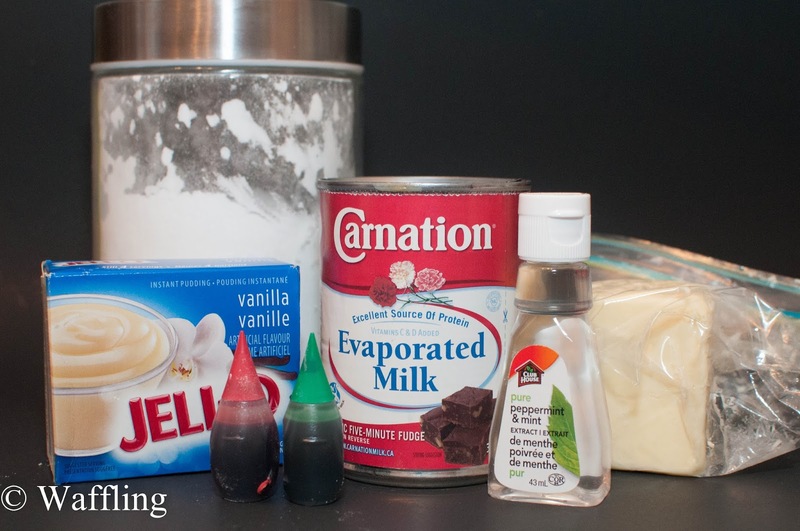 Mix up the icing sugar, pudding mix, butter, and peppermint extract. Then slowly add in the evaporated milk while kneading with your hands. 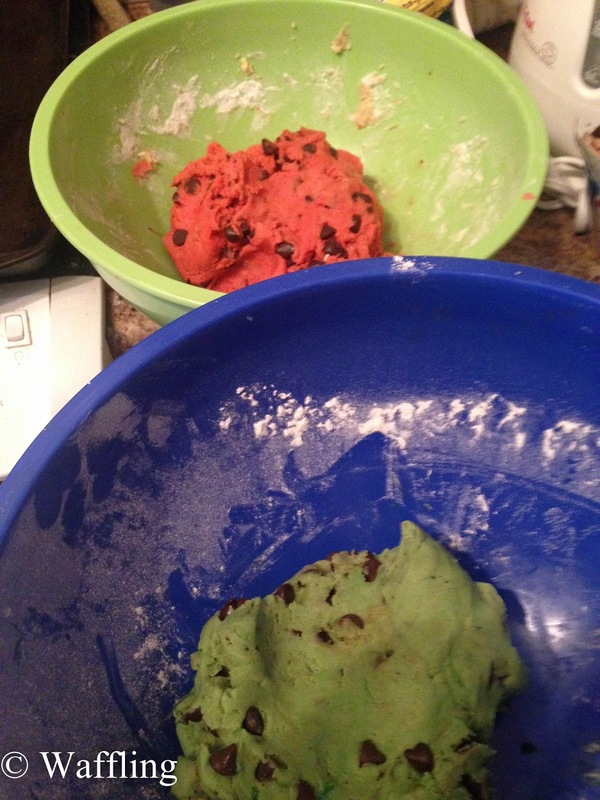 You want to end up with a dough that is like a stiff fondant (think playdoh consistency). If it feels really sticky, add in a bit more icing sugar. If it feels really dry, keep kneading or add in a tiny bit more milk. 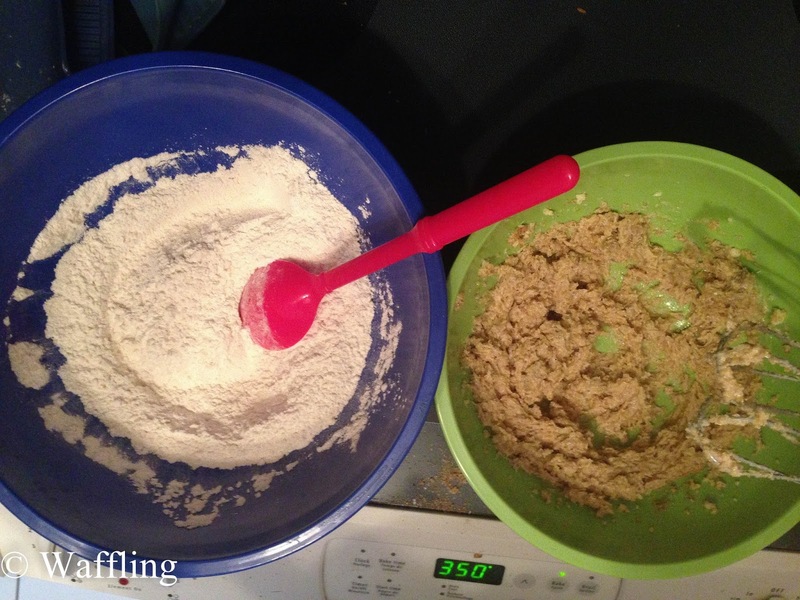 Divide the dough into equal quarters. Two quarters will remain plain, but dye the other two (I did one red and one green, but you can really do any colours or dye the plain ones too!). I find it takes a long time for the dough to have consistent colour, but just keep working it and adding more icing sugar as needed. 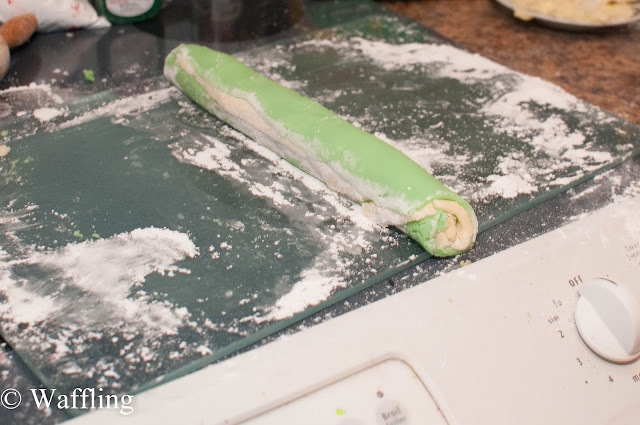 Once you have a ball dyed, roll into out onto a surface covered in icing sugar. You want to roll it into a shape that is roughly 4" x12", but as long as you have a rectangle you are good. I fold in the edges as I go to make the ends are straight as possible. 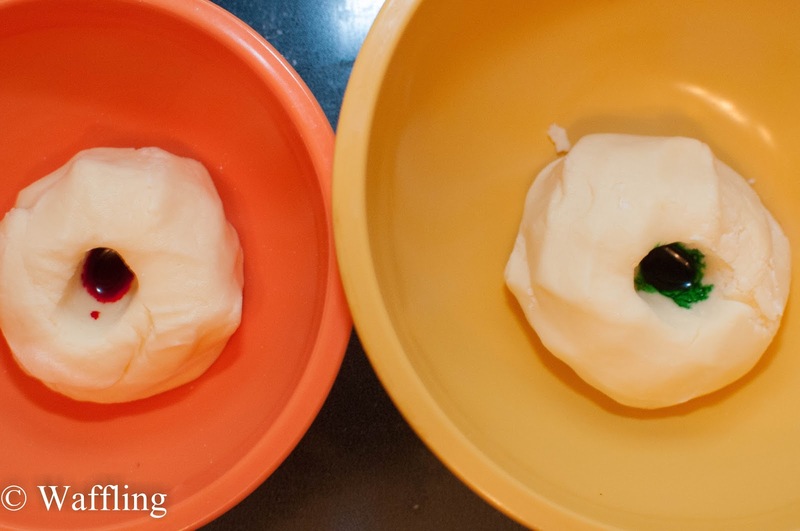 Next, roll out one of your plain balls into roughly the same shape. Next, place the plain rectangle of dough on top of the coloured one (whatever one is on the bottom will be the outside of the swirl candy at the end). I like the pinch the edges together a little to ensure they stay together. 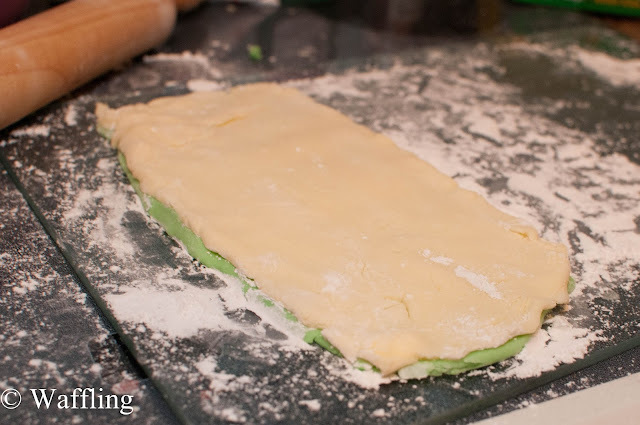 Then, slowly roll up the dough along the long edge so you end up with a long, skinny roll of dough! 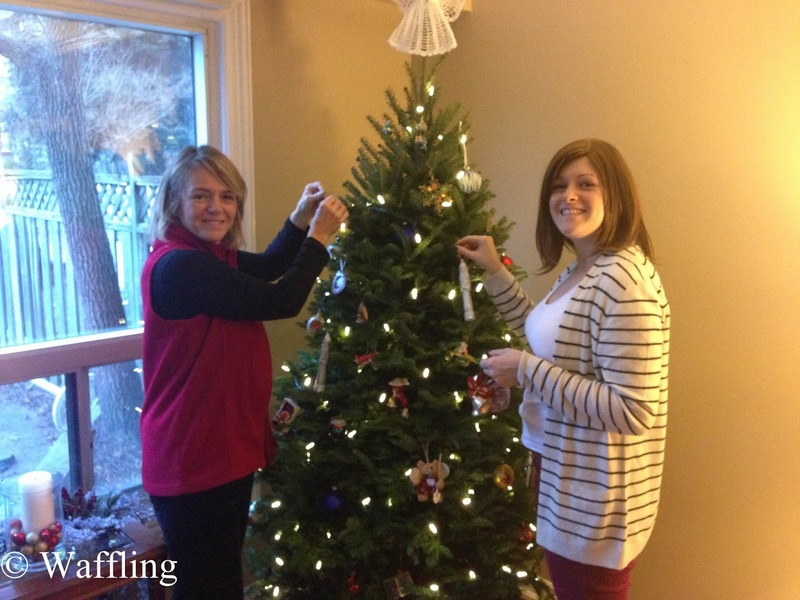 Make sure the end is secure by applying a bit of pressure, but you don't want to flatten it! For fun, I cut half my roll in half and rolled it in sprinkles. 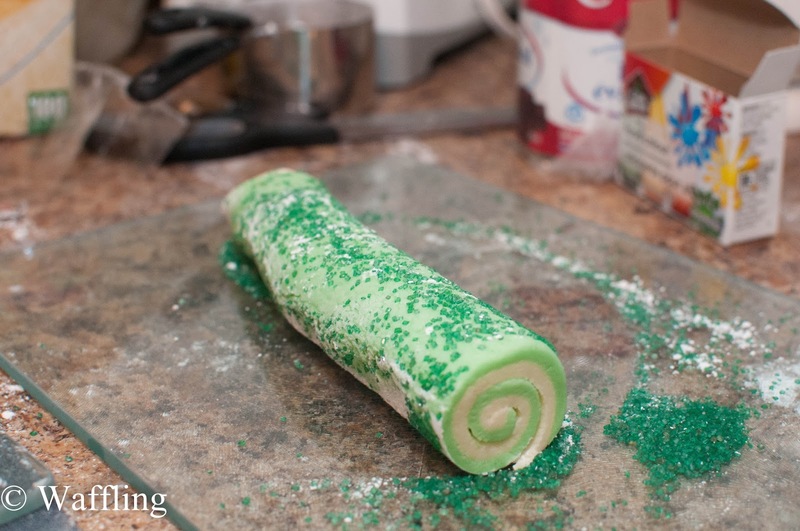 I didn't do the whole roll so that people could have a choice of classic Christmas Swirl or Sprinkled ;). I didn't want to mess with a classic family recipe! 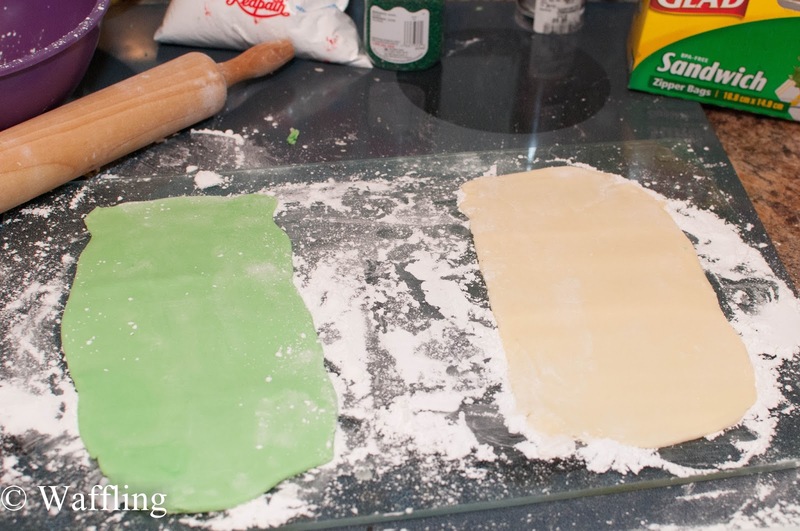 Repeat the process with your red dough and the remaining plain dough. 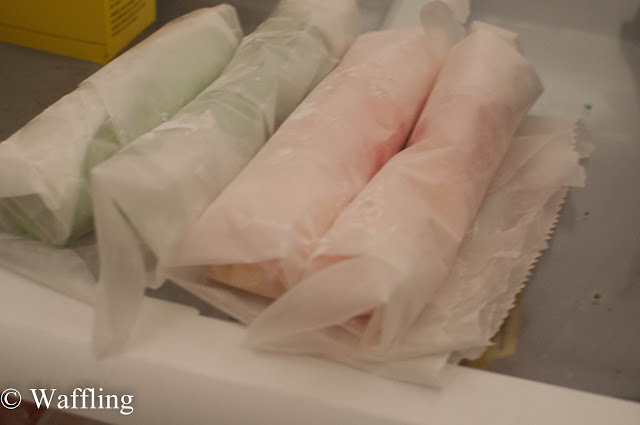 Wrap up all the rolls in wax paper and place in the fridge for at least an hour to firm up. Once they are hardened, slice them up into bite sized pieces and they are ready to serve! The taste is really pepperminty (that 1/4 tsp goes a loooong way) and they are also super sweet since they are basically pure sugar. I find people love them or hate them, but they are a huge hit in my family!! If you like sweet desserts, then these are for you ;). Does your family have any classic recipes? 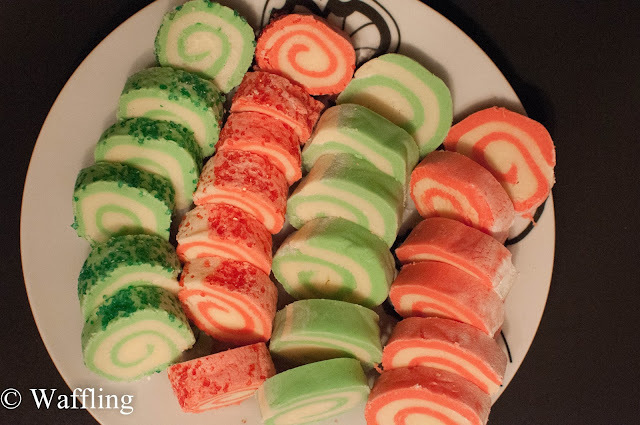 My mom also makes a mean vanilla fudge that we serve alongside the Christmas Swirls and my aunts and cousins usually provide other cookies, squares, and treats. We certainly like our sugary desserts! Life has still been busy, but it is thankfully starting to die down (5 more days until Christmas!!!) and so naturally my condo is a mess. I took out the trash today for the first time in....well a long time. haha. So I don't have much to share today except for a couple of new things!! I do have some things in mind for next week on the blog, though. You just gotta give a girl a weekend to get herself together! 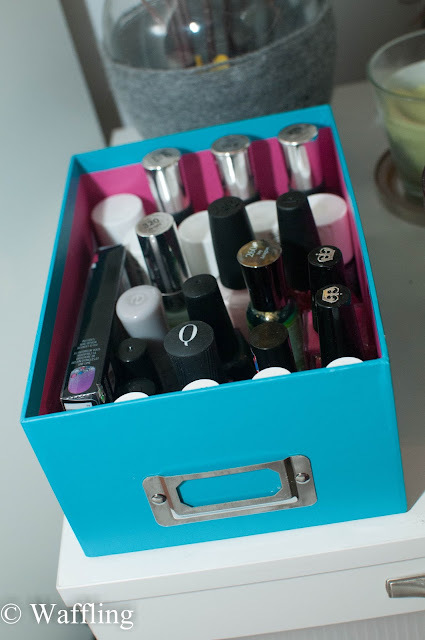 I keep all my nail polish in a box on my small dresser. I own a ridiculous amount of nail polish, but I simply looove painting my nails. They chip a lot because I have soft nails, so I often paint them once or twice a week. If I leave them bare I tend to pick at them and ruin them. However my old "box of nail polish" was a tad short for the bottles and the lid couldn't fit on properly. I lived with it for a year because I couldn't be bothered to hunt down a better box, but then this week I was at the dollar store and they had the cutest bright coloured boxes! So naturally I got one for my nail polish! 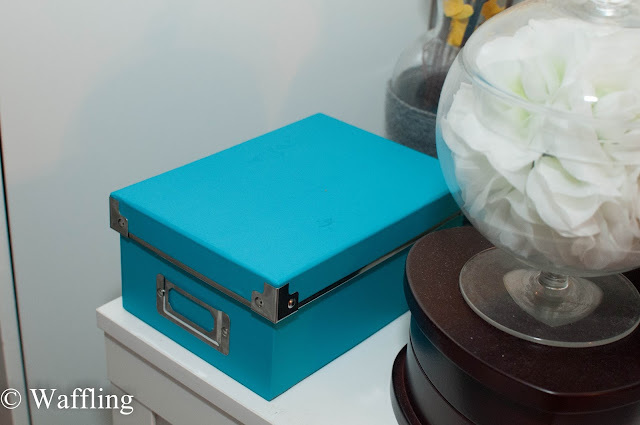 Isn't that box adorable for only $2? Everything fits in great too- but I think I need to cull some of my older polishes before I start buying more. For the record, I love OPI and Essie, but for quick jobs my favourite is Rimmel London 60 second polish! However I am not picky when it comes to polish- a steady hand and a good base and top coat can make the best of any brand. In other news, I ordered some fabric from Tonic Living for some new pillowcases for a friend and I decided, on a whim, to order a bag of scraps from them too. I wasn't expecting much but Oh. My. Goodness. 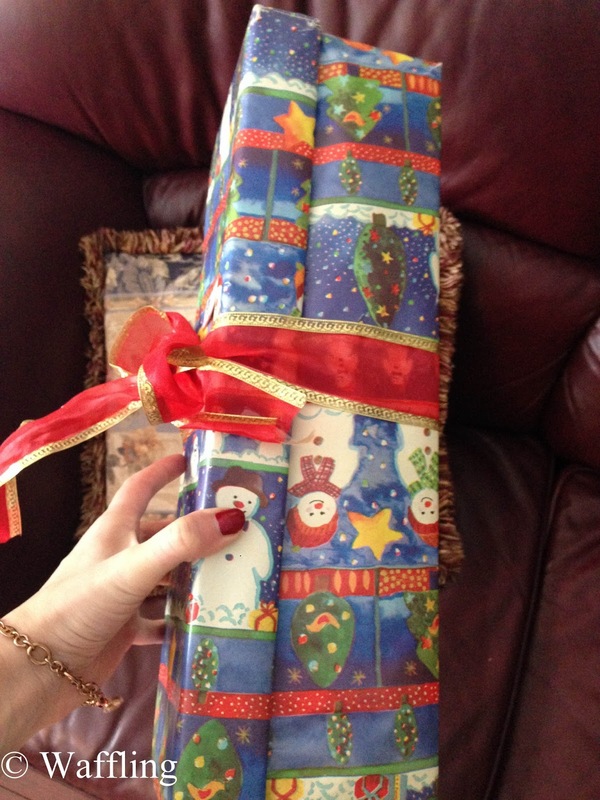 They sent soooooo many and some are amazing patterns and some are actually pretty big pieces! 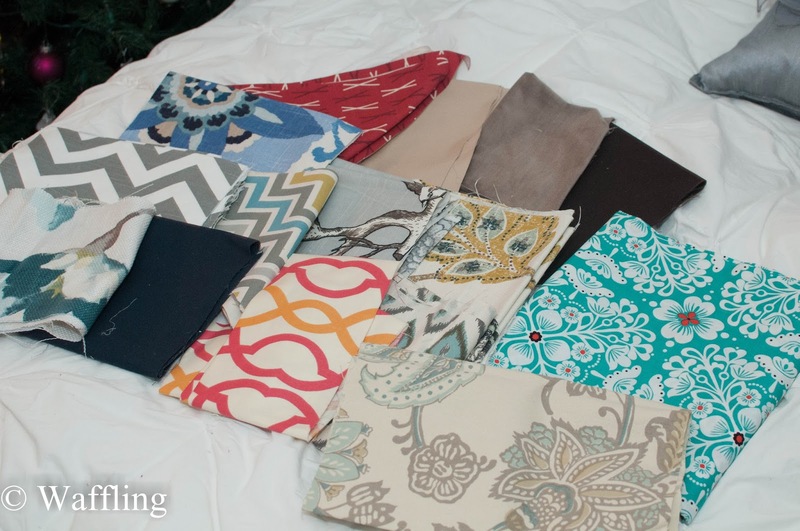 Ordering scraps might now become my new obsession :) I just need to find projects for all of these goodies! PS- The one on the right (Pippa, Mermaid) is the one I got for my friend's pillows (1 yard for her, one yard for me! hehe). The rest were all from my scraps bag! If you have any ideas for fabric projects, please let me know! I am excited to play with them over the Christmas break. 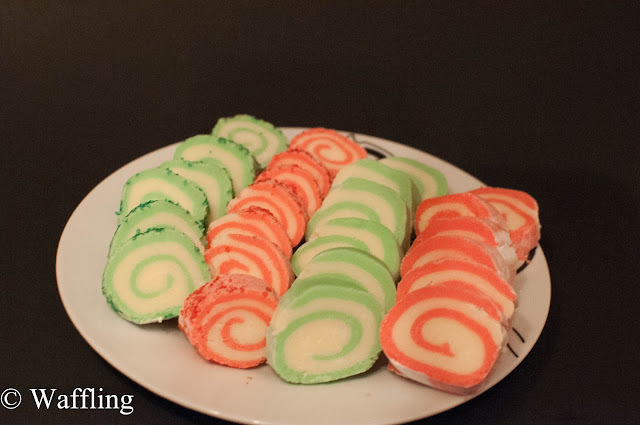 I really wanted to spend Saturday afternoon make a family recipe called Christmas Swirls, which are like of like a doughy candy, except that the Loblaws was completely out of peppermint extract (come on grocery stores! You gotta stock up on that stuff this time of year!). 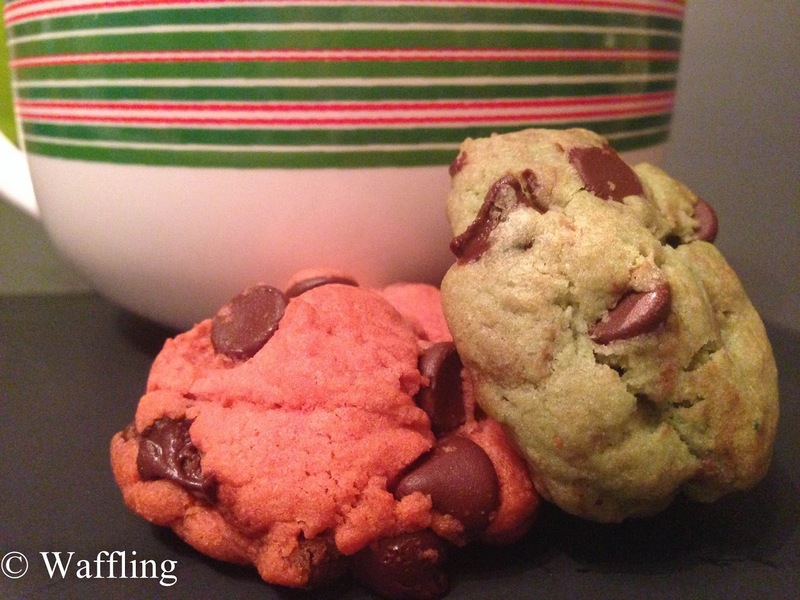 So my plan turned to just making chocolate chip cookies- but with a Christmas twist! Also, my camera died so I took these photos with my phone. I got this recipe from allrecipes.ca. Except this is one I have made a few times in various recipes because it is sooo good. The secret ingredient is vanilla pudding mix. I first discovered this twist in high school and I have never looked back! 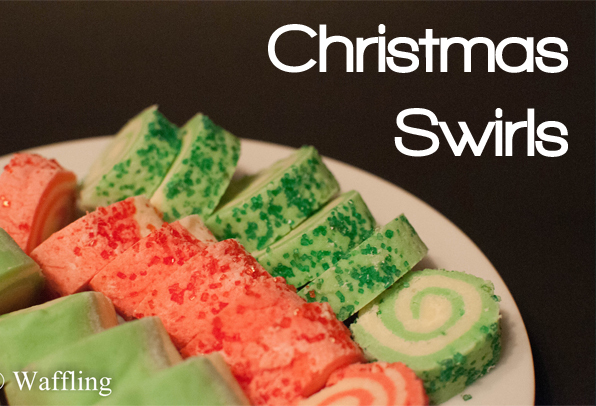 The Christmas Swirls recipe I wanted to make also included vanilla pudding mix- it is the secret ingredient of the season! First of all, I had to assemble all my ingredients. 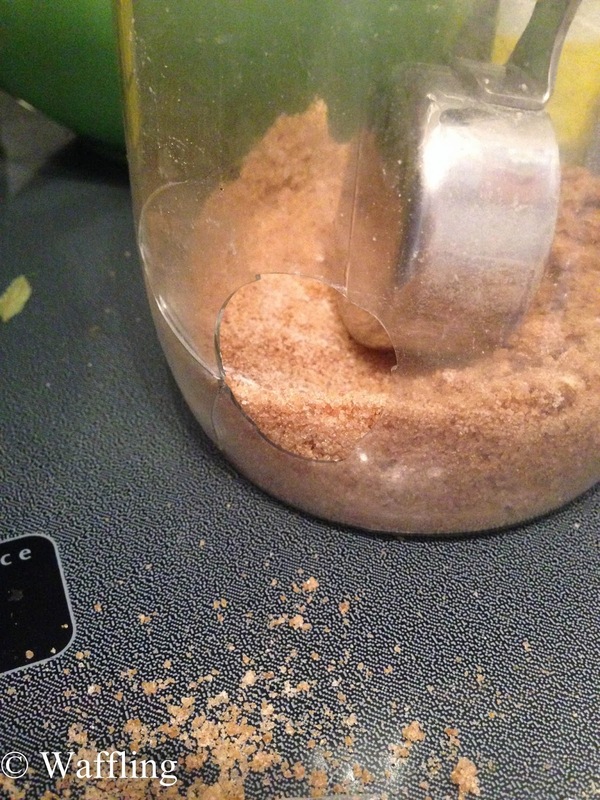 I was a bit low on brown sugar and what was left was rock hard (fail on you, clay disk!). Anyway, I was scraping away to get enough sugar out and disaster struck! Yikes. Luckily I had nearly enough so I just gave up at this point. But seriously, how crazy was that! Then I mixed up my ingredients, with flour and baking soda going in last. I don't really know the science behind why you mix certain ingredients separately, but I try my best to follow. 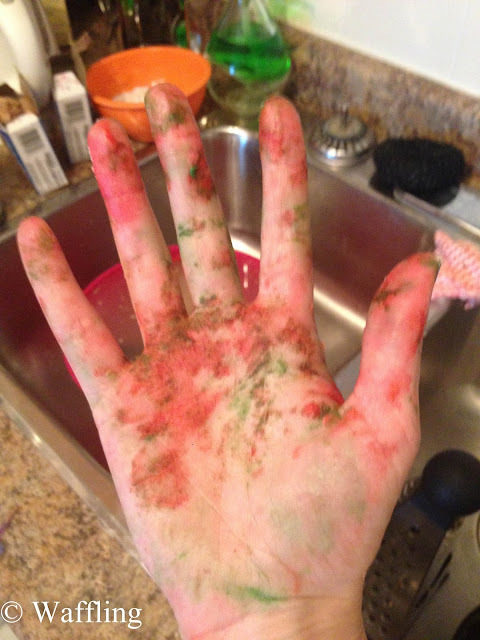 Once it was all mixed together I separated it into two batches added in a whole lot of red and green food dye. Bam! 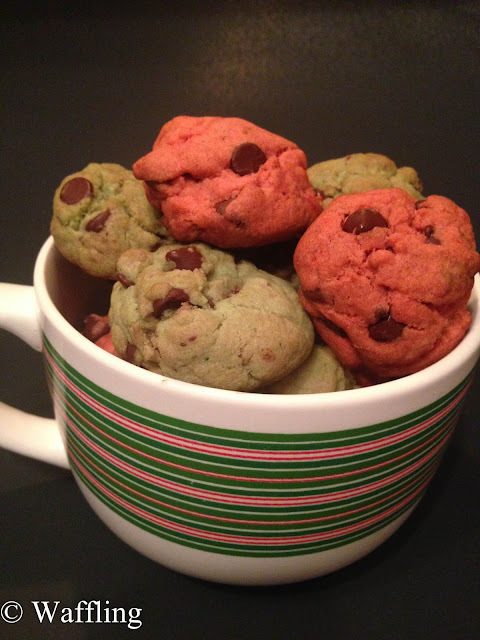 I just took those cookies from ordinary to Christmasfied! 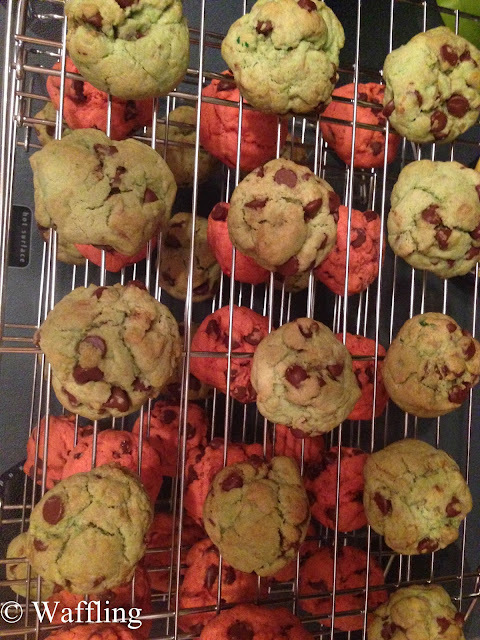 I had halved this recipe, but somehow I STILL came away with about 37 cookies. Ridiculous how big the original recipe is! I can't think of any reason why I would need 74 cookies for anything. And if I did, I would just double a regular recipe. I've already eaten about 10 of these cookies so obviously that is why it is not safe to have 37 or 74 cookies in my condo. As for the recipe, you can find it HERE. Try not to calculate the calories because this recipe is a love affair between butter and sugar :) Also, mine didn't come out that "soft" but maybe I left them in the oven too long? Either way, these are still super yummy!